Contact Neely Grobani at 212.792.2800 or ngrobani@ajws.org. 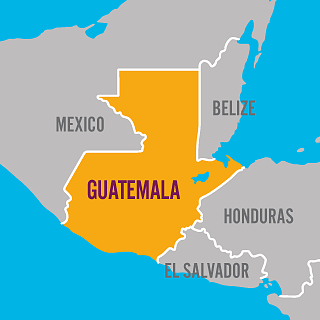 Join American Jewish World Service (AJWS) and our President and CEO, Robert Bank, for a stimulating and enriching experience in Guatemala. Explore colonial cities, Mayan communities, volcanic vistas and Guatemala’s rich and distinct culture, while delving deep into the aftershocks of the country’s decade-long civil war. As we travel from the vibrant capital, Guatemala City, to the rural countryside, to the colonial streets of Antigua, you will closely engage with grassroots organizations, supported by AJWS, who are courageously confronting corruption, violence and discrimination against the country’s poorest and most oppressed people. You’ll meet with groups like rural activists who are defending the land they depend on for survival and Mayan midwives improving health for women and children in remote areas. Through these unique interactions with local leaders and the individuals they help, you will gain an insider’s perspective into the injustices Guatemalans face and the urgency for change. You will also enjoy the stunning scenery and culture of Guatemala—cruise the captivating volcanic Lake Atitlan, shop at local markets and dine at some of Guatemala’s most exquisite restaurants—all while learning from leaders building a more just world. Hear from Claudia Samayoa, a human rights attorney and activist renowned for her courageous work to defend the land and interests of indigenous people. The organization she leads, Unidad de Defensores y Defensoras de Derechos Humanos en Guatemala (UDEFEGUA), received the Alice Zachmann Human Rights Defender’s Award from The Guatemala Human Rights Commission for its remarkable work to protect activists who are threatened or attacked in the course of their efforts to pursue justice. Visit with Prensa Comunitaria, a grassroots media organization that supports a network of community-based reporters throughout Guatemala. Their members report directly from communities about human rights struggles that are often ignored, suppressed or distorted by the mainstream media. Their valuable work represents an ongoing effort to defend the right to freedom of expression and to freedom of the press. Experience a private full-day tour of Antigua, considered the most well preserved colonial city in Central America. A place of rare beauty, major historical significance and vibrant culture, Antigua is Guatemala’s must-visit destination. For more information on this or one of our other upcoming trips, please complete the form below or e-mail us at studytours@ajws.org or call us at 1.212.792.2938.